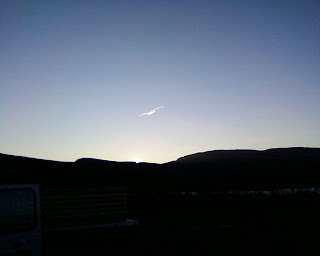 Kilpisjärvi Atmospheric Imaging Receiver Array: The real dragon? 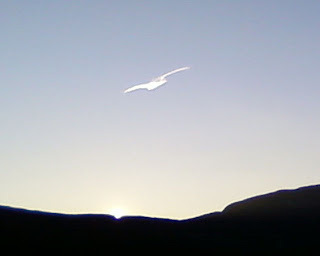 Still on the line of flying dragons, we then had one evening with a most peculiar cloud formation. As the sun set, the light caught a most incredible cloud formation. 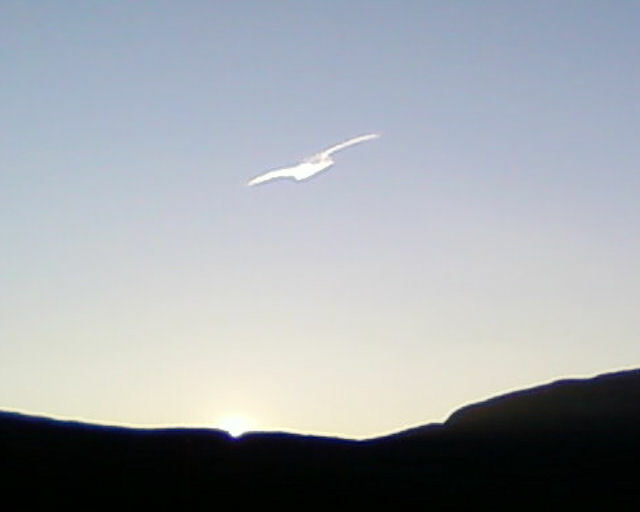 It was shaped like a huge bird... an albatross was what immediately sprang to mind when I saw it. The shape was amazingly clear and the rest of the sky was totally clear. I have no idea what caused it, but it was certainly very beautiful. I can certainly understand how people long ago would be amazed by such apparitions in the sky. It is certainly fascinating to consider what our ancestors might have made of this. A great bird; a portent of winter? Or maybe a great white dragon?